Across two massive stages, CouchWarriors will proudly feature tournaments across both Super Smash Brothers Melee and Smash 4. 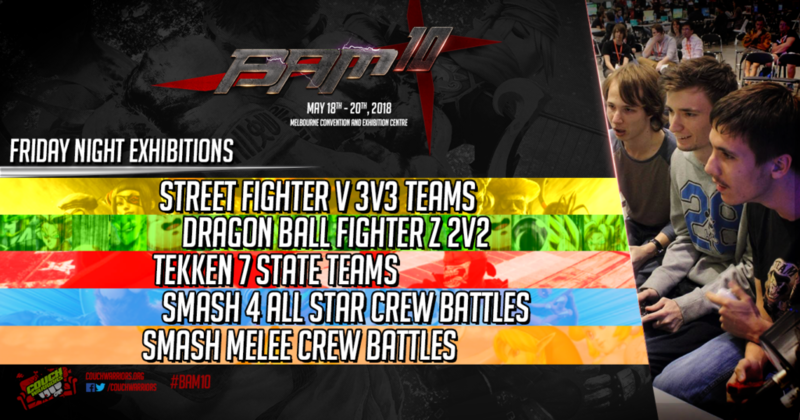 The amazing growth in the Smash community sees its epicentre at BAM. 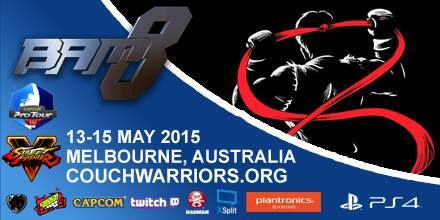 The top Australian players will face off, where you will see the best of the best facing off in the biggest tournament this side of the equator. Smash 4 will feature International guests, the first challenger is SoCal USA’s Nakat, with more to be announced.